Archeologists from the Academy of Social Services of North Korea’s History Institute have made an important discovery: they have discovered a unicorn lair. (I’m not making this up) The report says that they have “reconfirmed” the presence of the lair. Apparently the ancient Korean King Tongmyong rode a unicorn. An artist’s rendition of the king’s unicorn. His name was sparkle; he hated his name. Why is this the first I’m hearing about this? There was nothing about a unicorn riding, ancient North Korean king, in any history book I ever read. How do leave that out? Unicorns are not only real, but they’re always griping about how zebras are such sissies. Trix aren’t for kids; they really are for rabbits. 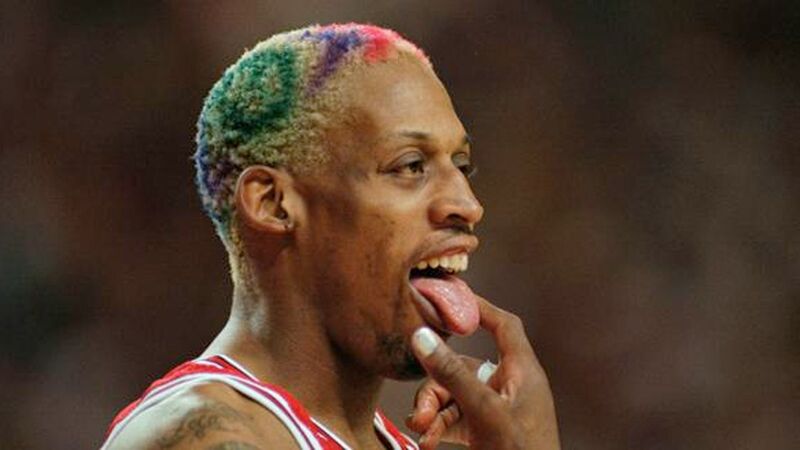 Dennis Rodman is a cyborg and his multicolored hair is magic. If you catch a leprechaun you don’t get a pot of gold; you just get a lot of pot. Jerry Garcia isn’t dead: he’s in Ireland and he’s really stoned. Despite the moniker, Bigfoot’s feet are tiny. Bigfoot hates that famous picture of himself; he thinks it makes him look fat. Bigfoot: a victim of the freshman 15 and a poor camera angle. Wile E. Coyote caught the Roadrunner years ago. He was served in an orange sauce, over rice, with sautéed spinach on the side. The chicken came before the egg, but they both preceded the first chicken omelette. The Great Wall of China was built by a guy just trying to keep the neighbor’s dog out of his yard. The Mars Rover did find life on Mars. It was a weird little dude named Marvin. And finally: The Onion was right: Kim Jong Un is the sexiest man alive. Isn’t that the face of man who needs to have his own unicorn? And maybe a few less nuclear missiles. He can keep Dennis Rodman. I believe in unicorns, but I’m pretty sure Dennis Rodman isn’t real. That would be my new screensaver.